Rootz Underground’s Movement is among the 36 submissions for the 2008 Best Reggae Album- Vocal or Instrumental being presented at the 2009 Grammy Awards. 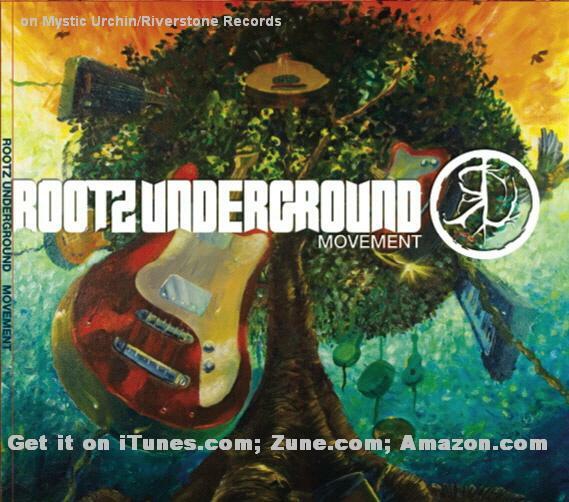 Rootz Underground has been making waves on the local and international scene for the last few years with their blend of roots rock reggae. For more about Rootz Underground, search YardEdge for “Rootz Underground” and see below for more about Rootz Underground’s Movement. The 51st Grammy awards will be held on February 8, 2009. I just saw this – wow wow wow wow!!! Big ups – they SOOOOOO deserve this. Di sound an vibes just right man – BIG UP!! This is excellent news for Rootz, when are they coming to do a show in Toronto? This year the Grammys will hold a concert and announce the nominees on prime time television. Cool.